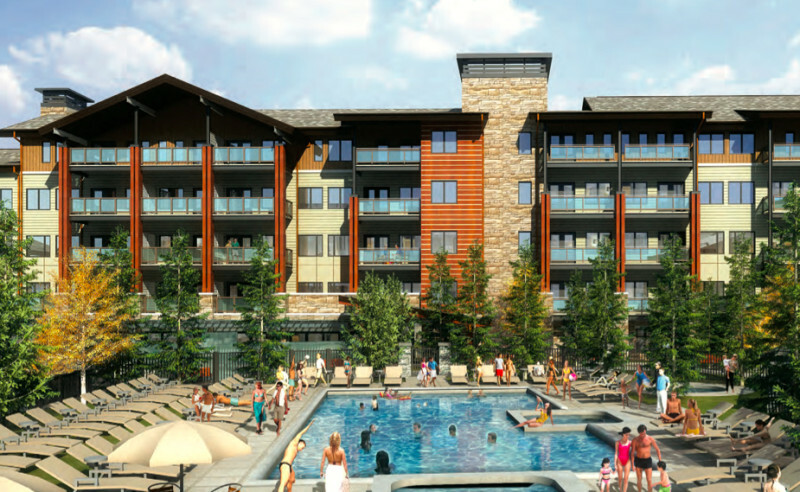 A view of the pool proposed by Related Cos. in a recent plan to the Town of Snowmass Village. A rendering from a recent plan for Base Village submitted to the Town of Snowmass Village by a subsidiary of Related Cos.
SNOWMASS VILLAGE – The legal issues facing the town of Snowmass Village in a local citizen’s suit are more complex than what’s covered by CIRSA, the member-owned insurance pool favored by municipalities in Colorado, including Snowmass Village. This week, elected officials learned that CIRSA has declined to represent the town in the suit filed Oct. 28 by Richard Goodwin under the Colorado Rule of Civil Procedures 106. Town officials had previously said they plan to bring on outside legal counsel to defend the case, and submit the bills to CIRSA. Goodwin alleges that ex-parte communications by two elected officials tainted a vote that gives developer Related Colorado an additional four years of vesting for its Base Village project. That issue may seem insignificant when measured against a larger question posed by Goodwin: Is the original 2004 project approval still valid in the first place? “The case is more complex than a standard 106,” said town manager Clint Kinney. The procedure 106 claims in “Goodwin versus Town of Snowmass Village” are a “small component of it,” he added. Goodwin’s suit includes his long-held claim that the 2004 Base Village PUD ordinance does not exist because of the project’s 2011 foreclosure, and conditions that weren’t met by ascribed dates. The first action by a new town council, installed Nov. 17 in Snowmass Village, was to turn down Base Village’s request to shorten the review process for part of its major PUD application. Goodwin’s challenge to the project’s vesting could further slow momentum on the project that finally seemed ready for a restart. Goodwin defended his action, said that local residents should have more certainty about the future build-out of Base Village. “We need to get the process moving along with the proper safeguards and guarantees,” he said. For that reason, it’s not known how much the defense — the town still plans to bring in outside legal help to supplement the counsel of town attorney John Dresser — will end up costing the town or its taxpayers. There are “too many facets to even put a ballpark (price) on it,” Kinney said. This year, the town will pay CIRSA $189,699 for “Property/Casualty Pool billing.” An invoice provided by town finance director Marianne Rakowski shows coverage ranging from general liability to auto, property and casualty insurance for the town and its employees. On Oct. 6, town council by a vote of 3-2 approved a vesting rights extension for the Base Village developer. Also at that meeting, councilman Chris Jacobson accused colleagues Markey Butler (who is now mayor) and Fred Kucker of having conversations outside the public forum with Aspen Skiing Co. vice president Don Schuster. Both Kucker, who did not run for reelection, and Butler have admitted the discussions took place but denied they were inappropriate. SkiCo is not the project applicant but is in negotiations with Related Colorado to purchase land in Base Village for a Limelight hotel. Related Colorado president Dwayne Romero has argued that developing required employee housing and parking under new rules (if the vesting were to expire) could cost the developer tens of millions of dollars more than under the original approval rules. 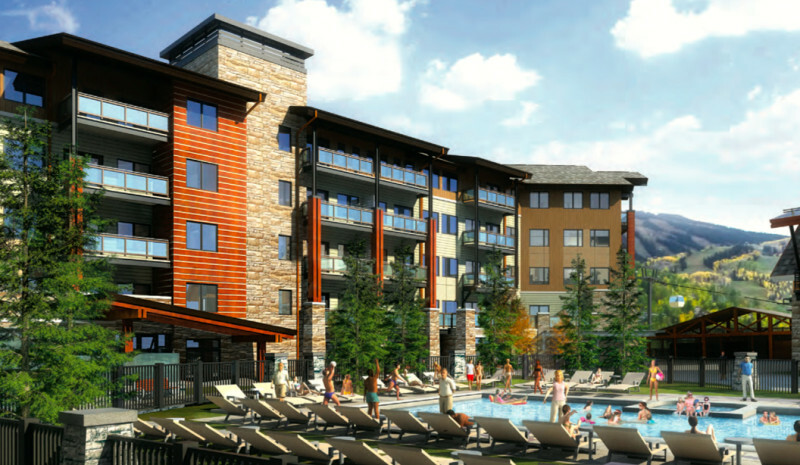 Romero has also said vesting offers a level of certainty to partners in the project, including Aspen Skiing Co. and Sunrise Co., who want to complete some of the unfinished and visible buildings in the base area. Goodwin’s suit forwards the notion that local residents should be protected by similar safeguards and guarantees. Long a critic of how the Base Village metropolitan district assesses its fees to the unit owners, Goodwin would also like the financing structure to be addressed through this suit. Editor’s note: Aspen Journalism and the Aspen Daily News are collaborating on coverage of Snowmass Village. The Daily News published this story on Friday, Nov. 21, 2014.